Damien Chazelle's Whiplash (released to justified critical acclaim back in 2014) is a dark and intense film that draws winces and expressions of horror on the viewer's face. It builds to a supremely tense climax that had sweat dripping down the back of everyone who experienced it. Chazelle's latest offering, La La Land, is the polar opposite of Whiplash in just about every shape and form. Rather than dark and moody, it's light and warming. Rather than intense and punishing, it's dreamy and rewarding. Despite the films' shared interest in jazz music, Chazelle has crafted two immensely pleasing films in such different ways that it's quite astounding that his name heads up both credit sequences. The films boast similar strengths, though, in that they both remain intricate character studies and focus on the idea of achievement and the damage that focusing on your goals can do. La La Land may not boast the energy that Whiplash manages to seamlessly maintain from the first minute, but what it does have is a deeply irresistible sense of heart that makes it impossible not to love, even when it falters. Mia Dolan (Emma Stone) is a barista in a film studio who aspires to become an actress, and frequently auditions for various roles but rarely has any luck with them. Sebastian Wilder (Ryan Gosling) is a small-time Jazz musician who wants to one day own his own Jazz club in order to save the music style he desperately loves, but can't find a way to get out of the dingy restaurant he plays in to get by. One night, the two meet. They are instantly drawn to one another and form a deep connection, but they soon discover that their dreams and aspirations could be all that stands between them and happiness. 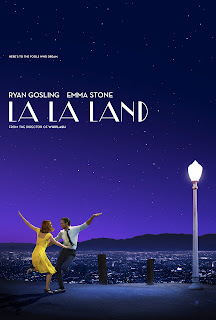 La La Land is a musical, and normally musicals grate on me (with the exception of the brilliant Les Miserables, of course), but Chazelle's script and Justin Hurwitz' music form a tight connection, and create something that elevates this to more than just a soppy romantic story with songs rather than words. Instead, they form something quite special. None of it would land without Stone and Gosling. The music and the script are great in their own right, but the two lead performances here carry the weight of this whole film. Stone is effortlessly brilliant as Mia, she fills her with love and life and laughter but keeps this desperation for the career she desires foregrounded in all of the film's more serious moments. Her body language throughout is delightful to watch, and when the camera focuses solely on her in a one take sequence featuring the film's most emotional song, she delivers. 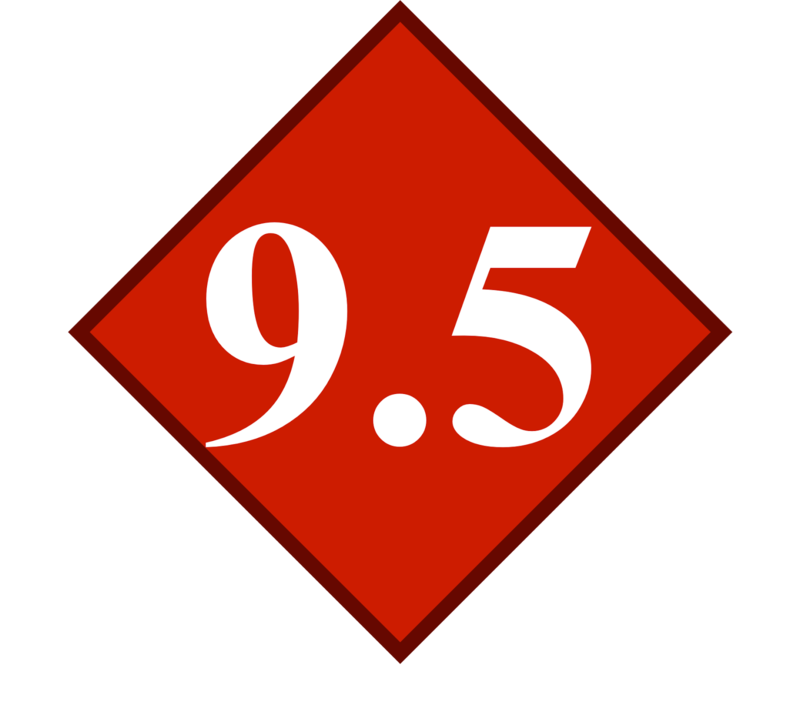 It is without question a career-best performance. Gosling lives up to her, too. He's given a very different kind of character to play here, but he glides around the frame like he owns it, and succeeds in keeping Sebastian a likeable character even with his flaws front and centre. The thing about La La Land is that we need to love these characters for the film to have any chance of working, and with performances like these it's impossible not to. Stone and Gosling have always been superb performers, but they're both at the very top of their game here. It helps, obviously, that the songs they're given to perform are mostly terrific. While I have a few issues with the film's approach to the bigger song and dance sequences (more on that later), all of the musical interludes we get are wonderful. Gosling shines in a softly touching performance of "City of Stars", which works wonders in making us love his character. Stone brings the emotion in a beautifully heart-wrenching rendition of "Here's to the Fools that Dream", which is arguably the film's greatest sequence. Gosling and Stone are a blast to watch throughout, but never more so than when the pair sing and dance through the streets of L.A in their first song together. 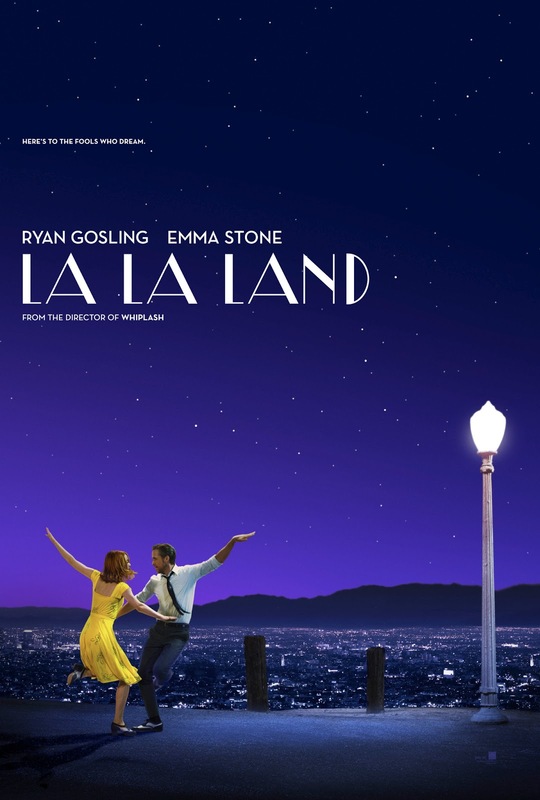 La La Land is smart in that the sound and tone of the songs alone can tell a story, but when coupled with the themes that the film tackles they become even more mesmerising. Chazelle is focusing here on the long lost art of dreaming, and aspiring to become what you feel destined to become. More than that, though, he focuses on how dreaming - as wonderful a thing as it is - can be the downfall of something wonderful, as if your dream doesn't fit the dream of the person you love, difficulties arise. La La Land doesn't shy away from the difficulties that Mia and Sebastian face, which just make all of its harsher moments hit even harder, as well as all of the touching moments feeling all the more poignant and inspiring. Visually, the film is also stunning. Chazelle demonstrated his visual talents as a director in Whiplash, but the canvas he has here is made from a whole new material. He is no longer grounded in reality and normality, and now he can aim for the stars, Literally, in fact, as one observatory set sequence ignores all known laws of physics and takes Mia and Sebastian into the air, before transporting them into the clouds under the night sky, ending with their silhouettes dancing their way through star filled space. The film's climax features an elongated montage that proves to be endlessly inventive, constantly finding new ways to transition from moment to moment. Even when Chazelle needs to focus on something more serious, he brings his camera into almost unnervingly close quarters, showcasing his willingness to explore every single angle. Mia's intimate solo performance in the film's second act is a clear highlight, but as is the song and dance sequence that opens the film. In the middle of a traffic jam on the highway, dozens of brightly dressed people bounce out of their cars and sing and dance about the summer time. The whole sequence is displayed in one long take, and its liveliness and energy is enough to bring on a giddy smile before we've even met the main characters. In fact the film's only misstep is that after this opening sequence, and another similar song featuring Mia and her girlfriends on their way to a party, La La Land drops the big flashy numbers and sticks to its two lead characters. On paper this doesn't sound so bad, but the issue here is that this story - when stripped of its lavish production and musical interludes - has been told countless times before, and the film desperately needs one or two big song and dance sequences in the middle act just to keep the energy levels high. The story acts like Mia and Sebastian live a wild and adventurous life, but the film itself does little to show us this side of them. It's only a small flaw in an otherwise delightful film, though, as it's easily sidelined by just how powerful La La Land can be whenever it chooses. Every character beat and every musical note strikes a chord in the heart, and by the time the film is over you'll just want to relive it again and again. But, before you do that, it also makes you want to get up, get out, and just live. La La Land is a beautifully imagined film that is executed with near perfection. There may be issues along the way, but it's tough to deny the almost indescribable feeling that La La Land leaves you with. It's a mix of wonder and amazement, coupled with the willingness to push aside everything wrong in the world and just fall in love with everyone and everything, even if just for a moment. I know it's a cliche, but trust me: you might just see the world that little bit differently after spending these 90 minutes with Mia, Sebastian, and their wacky, wild dreams. After all, here's to the fools that dream, right?